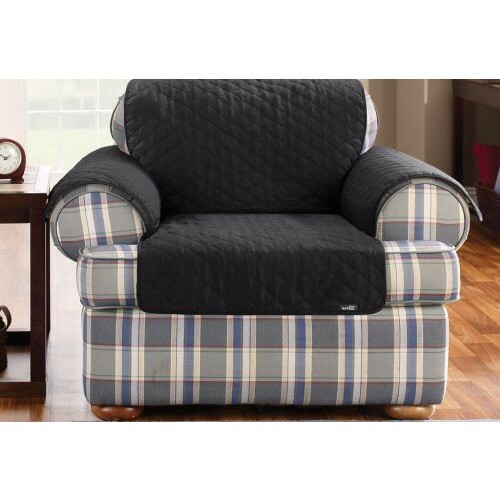 Cotton Duck Furniture Pet Throw, by Sure Fit, is an easy and budget-friendly way to protect your furniture from pet fur or stains. Now it's okay for your best friend to be on the furniture! Cotton Duck Furniture Pet Throw is available in black, linen and claret. Imported. 100% Cotton. Polyester fiber fill with backing. Machine wash separately in cold water, gentle cycle. Do not use bleach. Tumble dry low. Remove promptly. Warm iron as needed. Back height of throw is 39 inches. 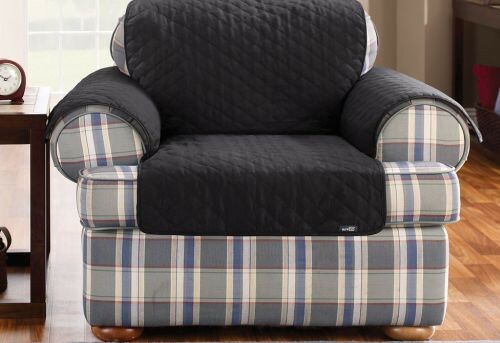 Easy and Budget-Friendly Way to Protect Your Furniture From Pet Fur or Stains. Available in Black, Linen and Claret. Polyester Fiber Fill With Backing. Tumble Dry Low, Remove Promptly. Warm Iron As Needed. Back Height of Throw is 39 Inches.